Meg's Food! 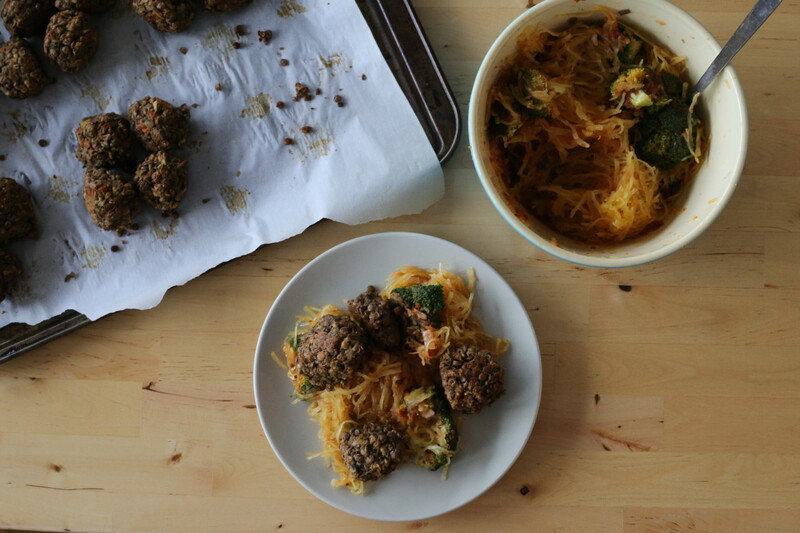 | Spaghetti Squash with Lentil Meatballs - Meg's Food! Spaghetti and meatballs..the ultimate comfort food? It’s probably up there. And this version doesn’t make you feel bad about eating two portions either! If you’re like me, dark cold days make you want to stay in, wrap yourself in a blanket, and eat lots and lots of carbs while binging on netflix. It’s only natural. Winter isn’t an easy time to try to eat healthy. But by making healthier versions of your favourite comfort foods, you can eat healthy, without feeling like you’re depriving yourself! 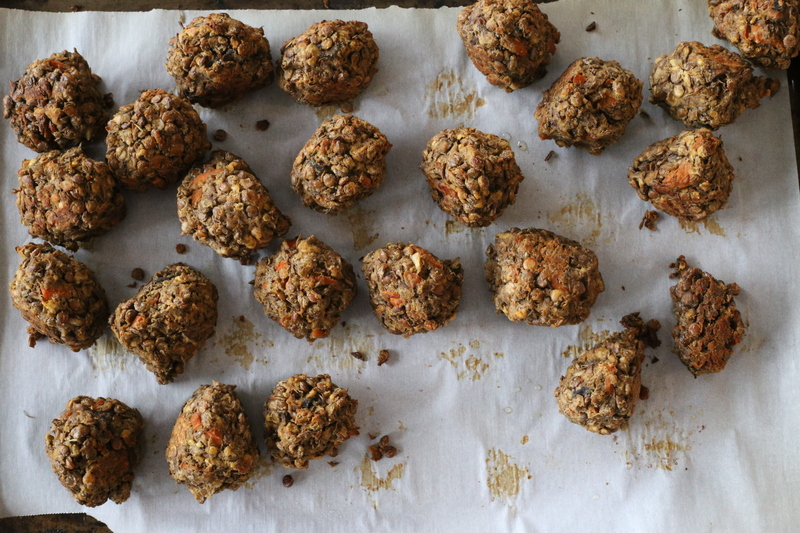 This version of spaghetti and meatballs is actually so good for you. 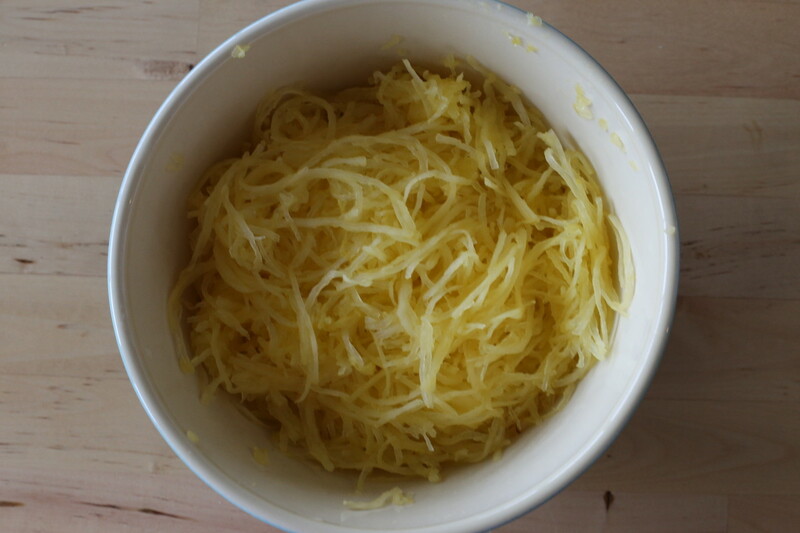 Instead of noodles, I’ve subbed in spaghetti squash, an easy and always faithful substitution. I love you, spaghetti squash. I added broccoli to my own spicy tomato sauce. And the meatballs? 100% vegan. 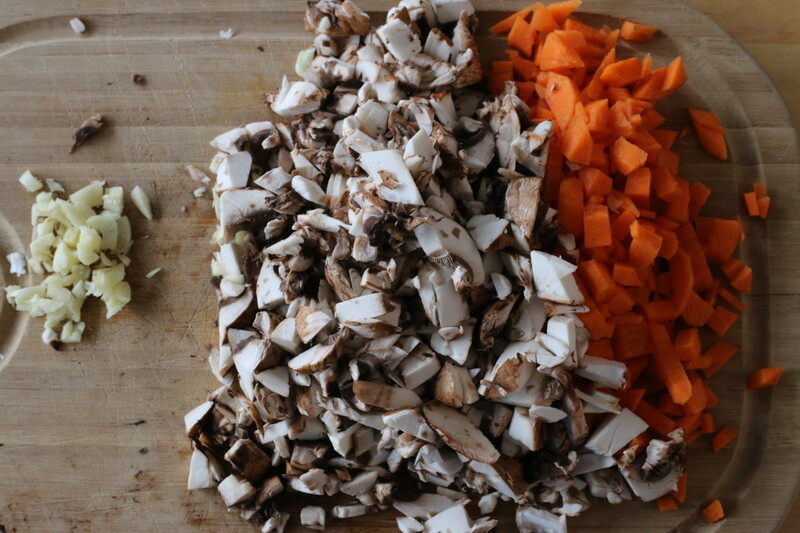 They’re made of lentils, mushrooms, and carrots, and are a protein packed, vegan addition to your spaghetti. And SO so good. So go ahead, hit play on the next episode, and settle in for a super healthy, super comforting dinner. Combine lentils with about 4 cups of water in a small saucepan. Bring to a boil, reduce to a simmer, and cook until lentils are soft, about 25 minutes. Drain and set aside. Heat olive oil in a skillet over medium heat. Add garlic, onions, and carrots, and cook until softening, about 5 minutes. Add tomato sauce, season with salt, pepper, and thyme, and cook another 5 minutes, stirring frequently. Add mushrooms and cook until water boils off, about 5 more minutes. Set aside to cool. Add cooled veggies to lentils, and stir in panko. Use your hands to mash the mixture together. When it’s all mixed up, put it in the fridge for 30 minutes. Meanwhile, cook your spaghetti squash. Preheat oven to 400 and line a baking sheet with parchment paper. Cut squash in half lengthwise and scoop out seeds. Put facedown on the baking sheet and roast 30-40 minutes, until soft when poked with a knife. Leave the oven on at 400 for the meatballs. Let cool, and then use a fork to scrape out the flesh in long, spaghetti strands. 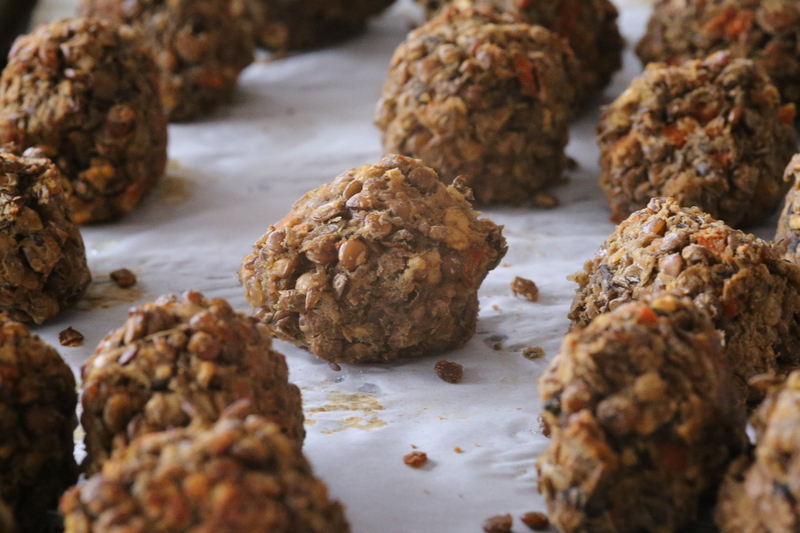 When meatball mixture is nice and cool, pack it into 1 inch balls. Put them on a baking sheet lined with parchment, and bake at 400 for 30 minutes, turning halfway through. In a small saucepan heat up tomato sauce. Add broccoli and simmer 5 minutes. Toss spaghetti squash in tomato sauce, and top with meatballs. When comfort food is this tasty AND this healthy, you don’t need to worry about having a second serving! This entry was posted in Dinner, Lunch, Recipes and tagged lentils, meatballs, spaghetti squash, tomato sauce. Bookmark the permalink.